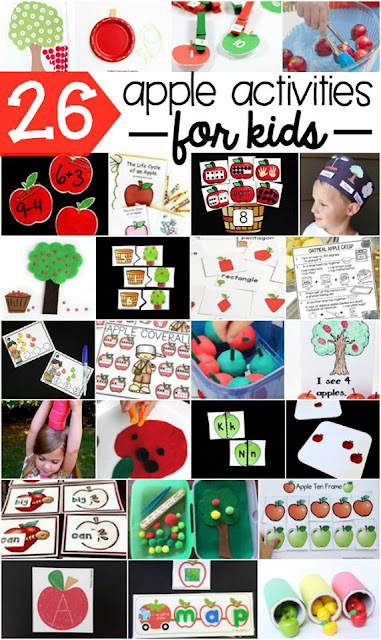 Back to school time the perfect season for an apple theme! 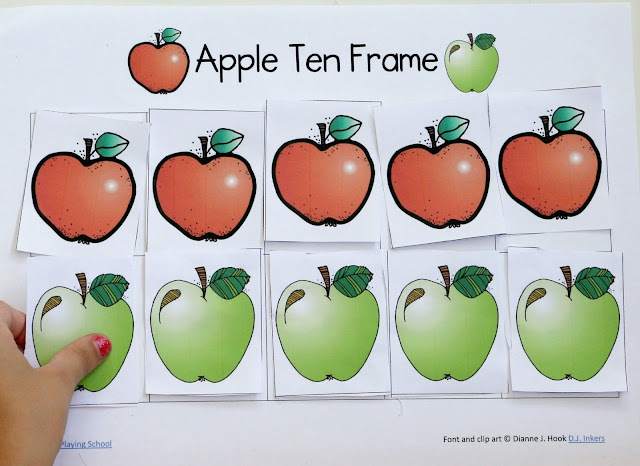 This fall we're offering this free printable hands on math activity for kids to learn about ten frames. Just print and practice counting, adding, and subtracting! We've included tips for how to use this math tool in the classroom or at home. 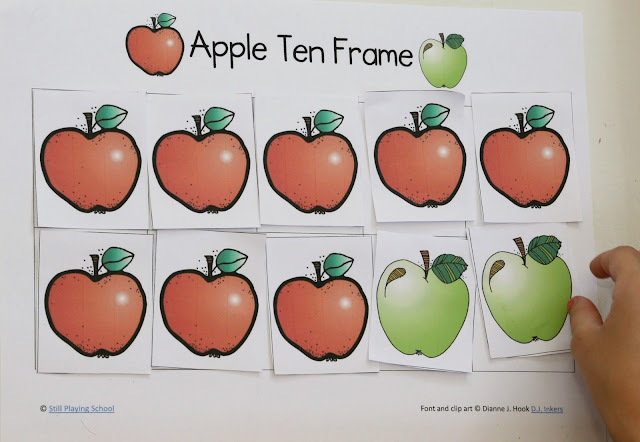 A ten frame is a visual math tool used to help children visualize numbers. It is a rectangle containing ten space with five on top and five on the bottom. We used green and red apples to demonstrate combinations with a total or sum of ten. 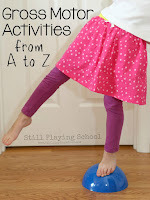 Invite children to cut the apples out independently to sneak in extra fine motor practice! 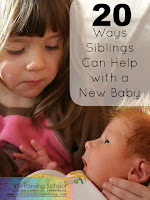 Print on card stock for extra stability as kids cut with safety scissors. You'll also want to laminate these for repeated use. 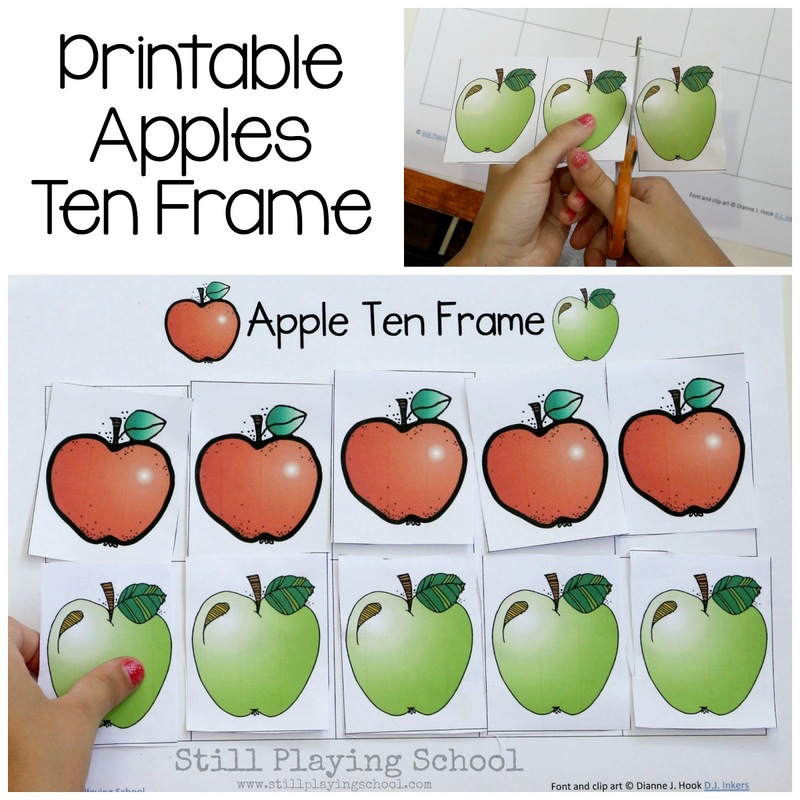 Challenge your kids to make sets of ten with the red and green apples. Model how to sort the red and green apples into different piles. - Put a number of red apples on the ten frame. Ask children to count how many more green apples we need to make ten. 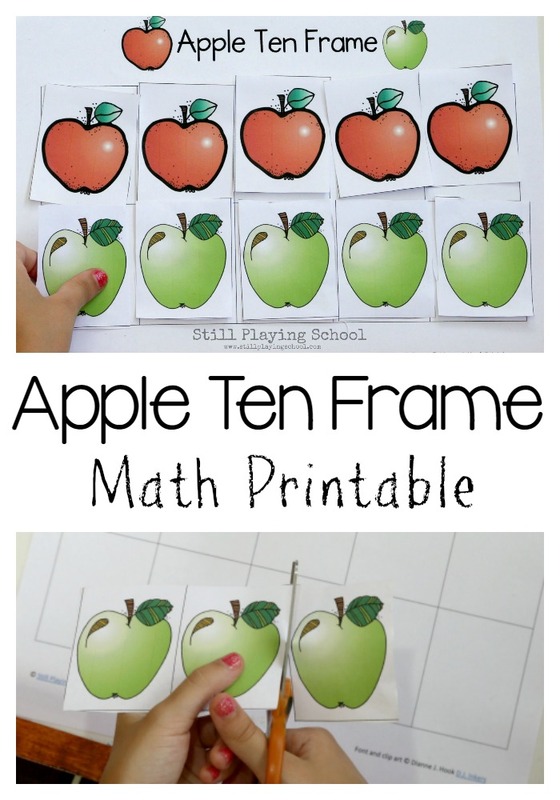 - Ask kids how they can make ten with an equal amount of red and green apples. - Write addition sentences to represent the sums of ten you are creating together. 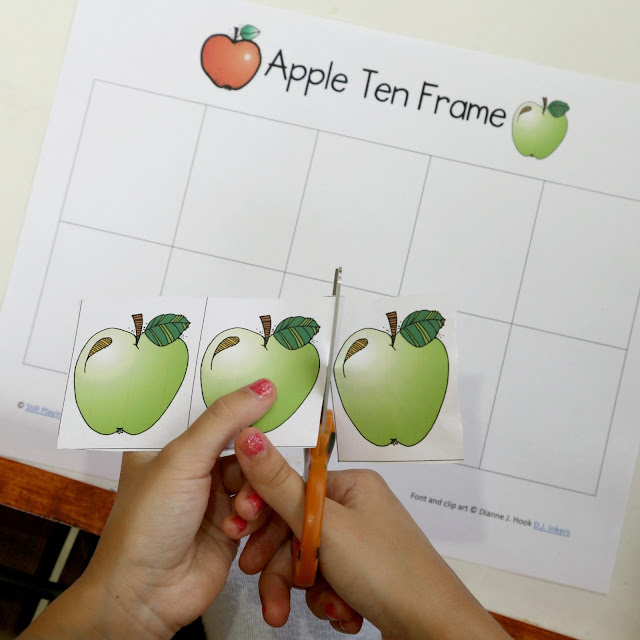 Your copy of our apple ten frame is below but first we want to share our other favorite apple activities for kids! You can print your own Apple Ten Frames Activity here!